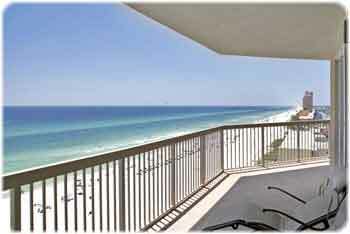 Panama City Beach Condos for Sale is our specialty. We are committed to helping you find the Panama City Beach Condo information you need including floor plans, maps amenities, and more. When buying a condo for sale in Panama City Beach you may have a lot of questions. This site should give you a good place to start. When you have further questions you can contact us and we will be happy to help. At our website you will be able to search all of our listings as well as all of the Panama City Beach condos for sale in a specific condominium. We are constantly working on the site to make it easier to navigate thru so that you can find the right condo for sale in Panama City Beach. We have other areas of the site that will help you find the house of your dreams. This could be a waterfront home in Panama City Beach or a beach house just blocks from the beach. If you're looking for an experienced real estate agent in Panama City Beach Florida that can answer all of your questions look no further. When you start looking for condos for sale in Panama City Beach you should be asking yourself what you are looking for in a condo. Are rental dollars important to you? Are you planning on staying in your unit for a few weeks a year, or a few months? What do you like to do while you are down here and where will you spend most of your time? Starting with these questions will quickly narrow your search for condos in Panama City Beach Florida. Updated September 2017: The Panama City Beach condo prices rose a healthy 2.3% the first half of this year compared to 2016. Despite the price increases, volume is up 29% compared to the same period last year. All signs point to a very healthy market. You can see the full story in the July Panama City Beach condo sales update. You will find many market updates and graphs in our blog articles. If you have any questions, please feel free to contact us. Are you looking to buy the condominium of your dreams in Panama City Beach? It can take some time before the newest condos for sale in Panama City Beach appear in national multiple listing services (MLS), we bring them to you first. If someone listed a property on the (MLS), you will see it that day on our website. Tropic Winds Condominiums is a 23 floor condominium located directly on the gulf in beautiful Panama City Beach, Florida. It is nicely situated on the west end of Panama City Beach just east of Carillon Beach and less than two miles west of Hwy. 79. Tropic Winds offers 164 condominiums including assigned, covered, parking spaces within the condo. This condominium contains 2, 3, and 4 bedroom units with marvelous views of the gulf from luxurious oversized balconies. Tropic Winds has over 330 feet of beachfront and includes such amenities as an indoor/outdoor heated pool, hot tub, sauna, and fitness room. Created on 11 September 2010 . Ocean Reef is a condominium with over 329 feet of beach front. The building completed construction of its 162 units in 2008. It is very similar to Twin Palms, Emerald Isle, Ocean Villa, and Tropic Winds. They were all built by the same developer. It is 23 stories high with nine condos per floor. The first five floors used as garage parking. Everything about this building was built to be functional. Each floor plan has an oversized balcony. The end units are 1600 square foot, four-bedrooms. The interior units are 1146 square foot two-bedrooms.